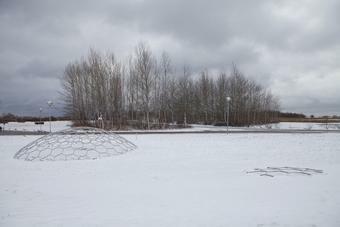 Developed in close dialogue with the Icelandic architect and scientist Einar Thorsteinn, 8900054 was conceived for Mågeparken in Hvidovre, on the outskirts of Copenhagen, but was moved to its current location, outside Arken Museum of Modern Art, in 2002. Two structures – one larger and one smaller – protrude out of the ground as if they had been buried over time. 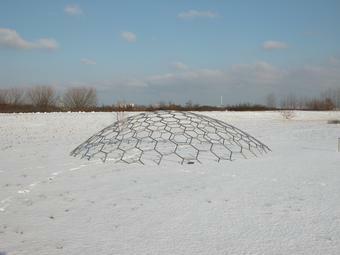 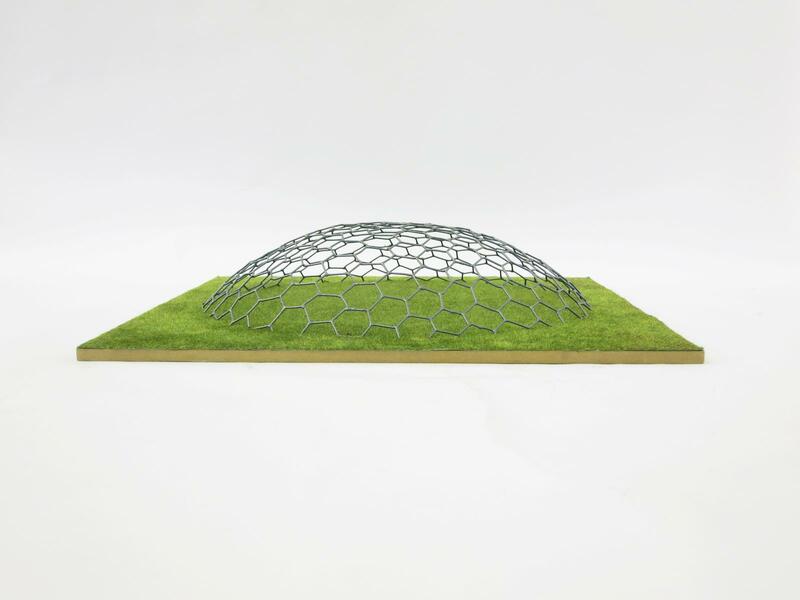 The framework structures resemble the triangulated geometry used in geodesic domes. 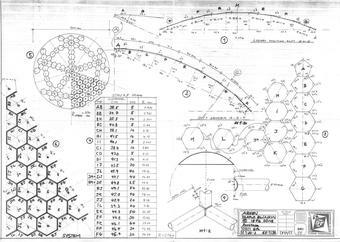 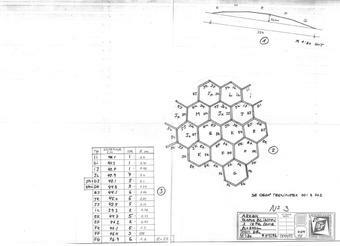 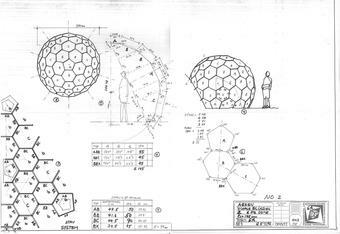 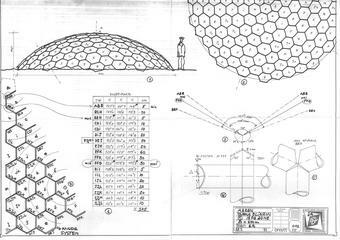 In fact, this work presents a slightly different geometry: whereas geodesic constructions are based on triangular faces, 8900054 employs a combination of hexagons and pentagons, with exactly twelve pentagons needed to form a full sphere and six needed for a dome. 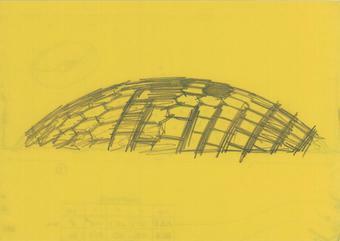 Only one pentagon of the large dome is visible above ground, at the structure’s apex, while the other five are out of sight, below the surface. 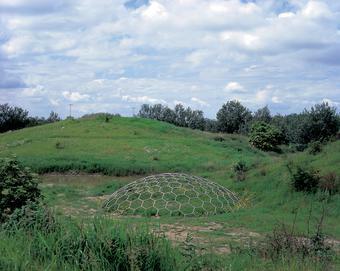 A few metres away from the larger structure, the smaller one is barely visible above the grass, hinting at the possibility that there is another, larger dome submerged in the earth. 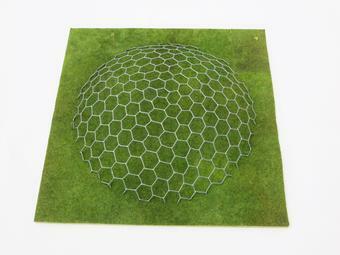 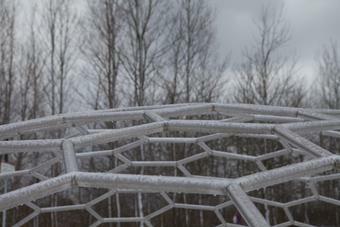 Because it is constructed from stainless steel tubes, the larger structure may be used as a climbing frame for children.